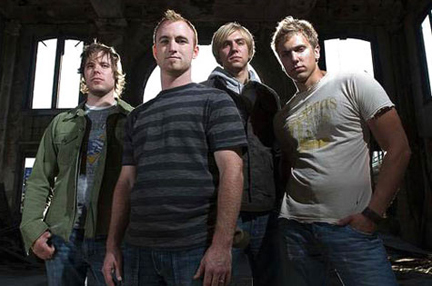 Formed in 2001 while attending Indiana Wesleyan University, the Sevenglory line-up includes Fred Butson (lead vocals, guitar) and Gabe Johannes (percussion, background vocals), Caleb Johannes, Gabe's younger brother, on bass and Josh Parsons on lead guitar. Like any band with an insatiable need to act on its creative impulses, the members of Sevenglory can’t help but get excited whenever the conversation turns to music. Peter Kohsla, a Midwestern concert promoter, noticed the band. He became their manager and started promoting the band. Kohsla formed a label called 7 Spin Music, and signed the group. Sevenglory released their debut album Over the Rooftops in 2006. Despite a menagerie of musical influences, including Jimmy Eat World, Radiohead, and classic rock legend Lynyrd Skynyrd, the band still has a singular goal: to craft catchy pop/rock songs that’ll stick with listeners for the long haul. 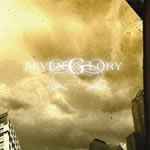 And that’s something Sevenglory successfully accomplishes on its much-anticipated sophomore project, Atmosphere (2008). On one of Atmosphere’s stand-out tracks, “All of This For You,” the worshipful lyrics reaffirm why Sevenglory is performing music in the first place. “We want to play cool music, and we want kids to have a good time at our shows,” says bassist Caleb Johannes. In addition to their music, the band recently teamed up with World Vision to promote the organization’s child sponsorship campaign in impoverished, war-torn countries.